We SPECIALIZE in the installation of new residential tank and tankless water heaters. 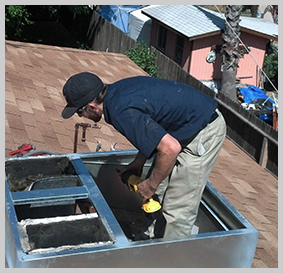 Water heater installations is a specialty and over the years we have installed hundreds of them. We operate a small company and it will stay that way, we do this so we can keep our overhead low so we can pass the savings onto our customers. We do all of the work in house so we can control quality. Large HVAC companies have huge overhead costs and massive advertising budgets and you don’t know if the guy who shows up to do the work just started a month ago. The big box stores don’t do their own work and subcontract the work to those large HVAC companies. The big box store price might look appealing in the store but I assure you there are loop holes and hidden costs that will surprise you later. What you get when we install your new unit. Anything else needed to bring your new unit up to current Uniform Plumbing Codes and codes in your city and county if possible. Job site cleanup and hauling away of your old heater. All old water heaters are recycled and don’t go to the landfill. Upon arrival at your home we will assess the situation and go over everything with you before we start and answer any of your questions. After the job is complete you will receive a receipt for the work that has been completed. We drive new trucks and use the latest up to date tools, equipment and parts to do the job. We hope you will find it a pleasure to do business with a family owned and operated business, our main goal is to take care of our customers.